A new study of mutations in cancer genomes suggests how researchers can begin to distinguish the “driver” mutations that push cells towards cancer from the “passenger” mutations that are by-products of cancer cell development. The study also shows that at least one in nine genes, on average, can be removed from human cancer cells without killing the cells. This is in sharp contrast to the corresponding figure for genes in normal human cells [X chromosome (1 in 100 genes); normal human genome (1 in 50 genes)]. Thus, cancer cells seem to be more tolerant to gene loss than the cells of healthy people and can lose a much greater proportion of their genes without losing the ability to live and grow. Many cancer genomes are riddled with mutations. The vast majority of these are likely to be passengers—i.e., mutations that don't contribute to the development of cancer, but have occurred during the growth of the cancer--while a small minority are the critical drivers of cancer growth and proliferation. The challenge of efficiently picking out the guilty drivers in the huge set of mutations found in a cancer genome has yet to be fully met. "It is essential that we can distinguish the drivers from the passengers because knowing the driver mutations, and hence the critical genes they are in, leads to understanding of the cellular processes that have been subverted in cancers, and hence to new drugs," explained the Wellcome Trust Sanger Institute’s Dr. Michael Stratton, senior author of the report. "Our study provides one example of how researchers can sift through the large numbers of a particular type of mutation present in cancer genomes in order to distinguish drivers from passengers." The study focused on one class of cancer genes--called tumor suppressor genes—that inhibit tumor formation, acting as brakes on the process. This type of gene has to be inactivated in, or deleted from, the genome of the cancer cell in order to release the brake, allowing cancer to develop. The process that inactivates a tumor suppressor gene often involves deletion of both copies of the gene in the cancer. Therefore, in the past, finding regions in which both copies of a gene are removed in many cancer cases has proven to be a fruitful way of pinpointing the location of new tumor suppressor genes. The problem is that both copies of a gene can also be frequently deleted from cancers in regions called fragile sites. 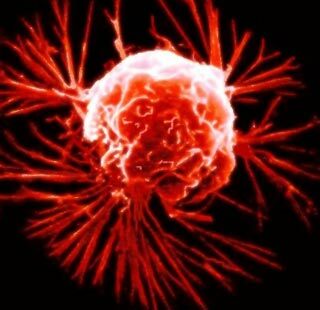 The underlying DNA structure of fragile sites appears to make them particularly prone to breakage and hence to being jettisoned from the cancer genome. The deletions at fragile sites are, most often, likely to be passengers. Therefore the challenge is how to distinguish between the passenger deletions over fragile sites and the driver deletions over tumor suppressor genes. "We analyzed almost 750 cancer cell samples for deletions at known tumor suppressor genes and compared them to deletions at known fragile sites," explained Dr Graham Bignell, a lead author on the paper. "We found clear differences between the two which allowed us to construct 'signatures' of deletions that are associated with tumor suppressor genes and signatures associated with fragile sites." For example, one crucial difference between the tumor suppressors and fragile sites was that both copies of tumor suppressor genes were usually deleted and it was rare to find only one copy deleted. In contrast, it was often the case that only one copy was deleted at fragile sites. This provided a first-pass test to sift through for tumor suppressor genes; i.e., if both copies of a gene are usually deleted and one copy deleted only rarely then these deletions may be drivers and the gene may be a tumor suppressor. However, if it is common to find only one copy deleted then the deletions may be passengers and it may well be a fragile site. The authors then used these signatures to look at the deletions that they found in cancers which were currently unexplained. Three regions had the signature of a tumor suppressor gene, but many looked like fragile sites. "When it became clear in the 1990s that novel tumor suppressor genes could be discovered by looking at genome deletions, many hands were put to the pump," explained Dr. Andrew Futreal, co-leader of the Cancer Genome Project and an author of the current paper. "But it became clear that it wasn't quite that simple. New tumor suppressor genes just weren't that easy to find, despite the presence of many deletions. We now have some insight as to why: many of the regions being studied were actually fragile sites." For cancer research, developing novel methods to discern the driver mutations remains a crucial goal. "Our results also illuminate novel findings that emerge from genome-wide research, light that is shone on other corners of genome biology. While we mustn't overstate this--these are cancer cells growing in test tubes--it is fascinating to see the catalogue of genes that are not required for basic survival."